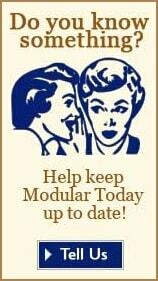 "...As a small company, we can offer personal service that larger modular home builders cannot. We pride ourselves on being a builder-friendly manufacturer, and home builders can reach our engineers easily to ensure that home buyers get exactly what they want. ..."
Delivery Range New England, Ohio, to North Carolina. Editorial Review Durabilt Custom Homes (formerly known as MSI of PA) is a quality modular home provider. 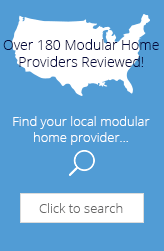 They offer a wide selection of modular home floorplans with the largest one having over 4200 square feet. Their website has good information including the specific home floorplans. They are a possible option for middle market home buyers with their off frame modular homes that will blend in perfectly with any stick-built home. Their 91 page product guide which is available online shows the many of the products options and building options you can choose for your home. We love our MSI home! We built our MSI home in 2004 and the house has held up great. It was a pleasure to work with the professionals at MSI. Everyone from the sales team to the set crew were attentive to every detail and concerned about making sure we had an excellent product. We used MSI many years ago and had no problems and the home is still fantastic. No issues at all. The setting crew they selected were really good and that makes all the difference. They worked with us during the design process and really went out of their way to make the home customized to our liking. We continue to receive many compliments on our home today. I would like to say how pleased I am with the modular addition that was built by MSI. With the family growing and no room to build out we contacted MSI and they put usin touch with a builder. After seen our lot we decided to go up and the attention that was given to us by the builder and the Company made our little ranch home a two story which doubled our square footage and with a price that fit our budget. I have been building modular homes for the last 6 years and have found that the quality of these homes that MSI build is very good. I don't know who Mr Madison builder was that ordered the home for him but I have had great response with any service issue that where asked for. With the new changes made at the factory I have seen the quality at its best. I would recommend buying a home from MSI and using a good builder when doing so. This modular home company puts out a below average quality home.uneven and squeeky floors very poor taping job that is very noticable in the ceilins throuout the home. I had one box that was 2 inches longer than the rest.The only good thing was the price.Due your research and dont go off price,with this company you get what you paid for. Joyce Carnall from Mount Pleasant Mills, Pa.
Our first experience with a modular home. Couldn't have asked for better service and attention to detail. Helped us almost custom design our home. I would highly recommend MSI. We invite you to share your personal opinion of Durabilt Custom Homes / MSI Plus. Please explain your like or dislike.